A cold front blasted through the Cape Region today bringing heavy rain and a sharp drop in temperature. At 1:30 in Lewes it was 73 degrees out but in one hour it had dropped to 56. Just when you Delaware coast locals thought that some spring weather had finally arrived nature dropped in the cold NW winds again. 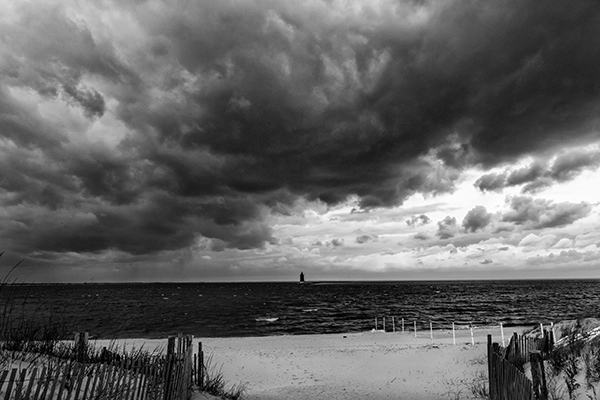 Anyway, I loved the dramatic sky the front brought in as it approached Cape Henlopen. This entry was posted in Black & White, Scenics, Spring 2018, Weather.